Summit View Farms is located directly south of Monarch View on Hook Road. It is open with 50 preliminary home sites, 40 are daylight or walk-out. The majority of lots back to green space. Children attend the AAA-rated Lee's Summit R7 schools. SVF elementary school children will attend Summit Pointe Elementary, middle school is Summit Lakes and Lees Summit West High School. Children attend the AAA-rated Lee’s Summit R7 schools. Long before it became recognized as one of the nation’s best places to live, Lee’s Summit was known for the many dairy farms that dotted the Missouri 150 corridor. 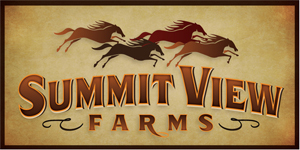 Summit View Farms, however, has always been all about horses. More specifically, award-winning saddlebred horses. Summit View Farms ©2018 Summit View Farms - The information displayed on this page is confidential, proprietary, and copyrighted information of Summit View Farms ("Heartland MLS"). © 2018, Heartland Multiple Listing Service, Inc. Heartland MLS and Keller Williams Realty do not make any warranty or representation concerning the timeliness or accuracy of the information displayed herein. In consideration for the receipt of the information on this page, the recipient agrees to use the information solely for the private non-commercial purpose of identifying a property in which the recipient has a good faith interest in acquiring. Any personal information that you may share with us is kept absolutely private. Neither your name nor anything about you is sold or shared with any other company or agency. Occasionally, we may contact you to make you aware of our services, upcoming products or specials. However, we do respect your right to privacy and will not send notices if you contact us and ask us not to.